Here it is, the Vertical Display Stand for Lego Millennium Falcon No. 75192. LEGO compatible means you can mix and match LEGO bricks with Blox bricks for even more fun! Our pieces connect to LEGO bricks seamlessly, and they even share the same color palette! 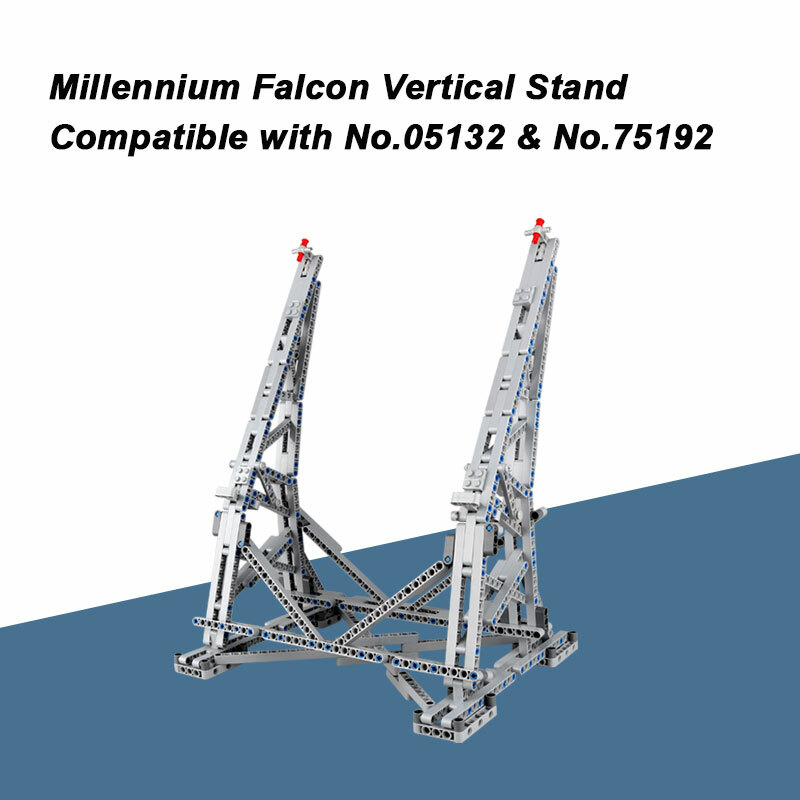 This set is 100% compatible with LEGO Millennium Falcon 75192 and Lepin 05132. We take model building seriously. Each piece is made with high-quality ABS plastics to ensure years of durability--even with constant use! Each Blox model is beautifully crafted with serious model builders in mind. Includes an easy-to-follow, step-by-step assembly guide making this the perfect gift for kids and adults. Product arrives in a standard box for easy shipping and extra savings!